With the map showing, press the “Settings” button. Select “Navi Settings” by pressing in on the control stick. Scroll down to “Edit Go Home” and select it by pressing in on the control stick. Select “Name” and use the touch keypad on your Honda Link screen or select letters with the control stick to enter a name for this address. 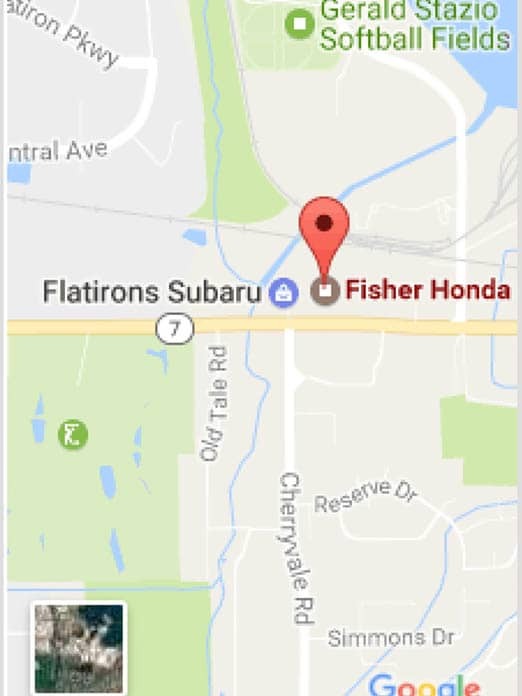 For our home address we entered Fisher Honda. To confirm, press the control stick down, not in, but down or press “OK” on the touch screen. Scroll to the next line and enter your home address. Enter the city, street and house number for the address you would like to save. We are going to set the address for our dealership in Boulder, Colorado. Once you have entered your address press down on the control stick to save. Now press the “Nav” button. Next press the “Menu” button. Scroll to “Go Home” and press in on the control stick to confirm. Your route will now be calculated and then displayed on the screen.